Event participation, sponsorships and advertising are a great way to stand out from the crowd. Take advantage of the many targeted marketing opportunities afforded to GHBA members all year long. The GHBA would like to thank all of our members for their continued support of the association. Because of your commitment, GHBA has been successfully promoting the homebuilding industry for more than 75 years. GHBA has grown to become the largest local association in the state and the third largest association in the country, with even more room to expand in the future. The Annual Marketing Guide is your official guide for sponsorship and involvement opportunities. This guide includes a comprehensive and detailed list of all of the association events and sponsorship opportunities throughout the year. Members can use this handy tool to set their marketing budgets, and as a reference throughout the year. Please review the options and make your commitment right away. Some sponsorships are limited in number and are available on a first-come, first-served basis. ADVERTISING: To advertise in the next Marketing Guide, download the Rate Card & Media Kit or contact Brittany Feldmann at bfeldmann@ghba.org or (832) 215-7232. Have you noticed other companies’ logos on your renewal letters, association emails, GHBA water bottles, and online? Did you wonder how your competition was getting so much recognition from the association? Would you be surprised to find out that much of this marketing was FREE? Get more from your sponsorship dollars by becoming a “GHBA Partner.” Companies that commit to a total of $7,500 or more on sponsorships and advertising per year will receive special value-added bonuses! Like what, you ask? Perks can include free print and online advertising, GHBA room rentals, and member mailing lists—all at no additional cost. Other special features include monthly balanced billing, early access to the most popular sponsorships before they sell out, and monthly recognition at association events. Partnerships are first-come, first-served. Some exclusions apply, including but not limited to dues, fees, event tickets, booth fees, charitable contributions. 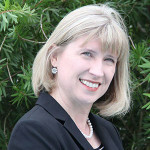 To get the full scoop on how to get started, download the GHBA Marketing Guide or contact Cynthia Fagan at 281-664-1425. Associates make up about two-thirds of the GHBA membership. And through extra financial commitments from sponsorships, they finance a large portion of the advocacy and ongoing work on behalf of the housing industry. The Sustaining Associate Member Program (SAM) is just our way of saying “thanks” to our superstar associates. GHBA officers will convey the value of Sustaining Associate Members when they speak at their visits to all councils, committees and divisions. How Can I Become a SAM? Any associate member whose financial contributions through sponsorships and advertising (in the magazine or online) reach $10,000 or more during the year will become a Grand SAM. Any associate member whose contributions reach between $5,000 and $10,000 during the year will become a Premier SAM. This recognition is exclusively for financial contributions made by ASSOCIATE members on an annual basis, and is limited specifically to event sponsorships, advertising in Houston Builder magazine, and advertising on the GHBA website or e-newsletter. 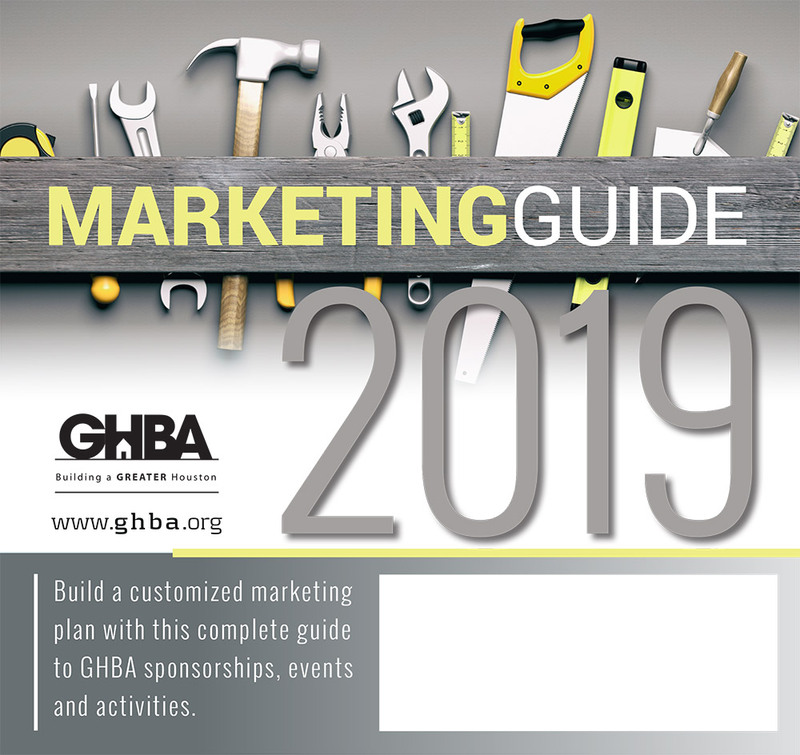 The annual GHBA Marketing Guide lists all of the available sponsorship opportunities for the upcoming year. Use it to plan your involvement, and become one of our SAMs! * For clarification, items NOT included in SAM calculations are: Dues payments for dues, event tickets, directory advertising, speed selling, HOME-PAC contributions, and any other payment for regular fees or services such as booth space or table tickets. If you are unsure about exclusions, please email Cynthia Fagan or call us at 281-664-1425. Thank you to the GHBA Partners and Sustaining Associate Members, whose sponsor donations and involvement top the charts. Companies like these are the lifeblood of the association, and we cannot show our appreciation enough.